Tiny implanted 3-D printed scaffolds infused with antibiotics could revolutionise the way doctors prevent deadly ‘superbug’ infections post-surgery, saving lives and long hospital stays. 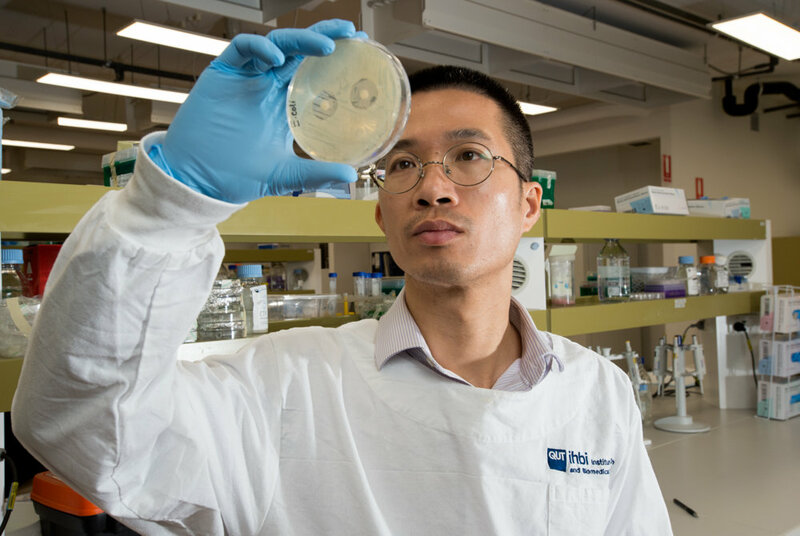 QUT Institute of Health and Biomedical Innovation biomedical engineer Dr. Phong Tran said insertion of any foreign body whether an implant or a prosthesis such as a hip joint was recognised as a major contributing factor to infections by the bacteria Staphylococcus aureus known as “golden staph”. “Some of these bacteria have evolved into a ‘superbug’ due to exposure to sub-therapeutic levels of antibiotics,” said Dr. Tran, from QUT ARC Industrial Transformational Training Centre in Additive Biomanufacturing. “My research has found a new way to use antibiotics on a biodegradable scaffold which could be delivered inside the body at the surgery site by the surgeon as a promising way to prevent golden staph infection and its development of resistance to antibiotics. Dr. Tran said this new approach could be used for other bacteria such as E-coli and Pseudomonas aeruginosa which are often found in infected implants, such as new hip joints, and prostheses. “When patients have an infection at an implant site, surgeons often do ‘revision surgery’ to ‘clean out’ the infection,” he said. Dr. Tran said the new 3-D scaffolds were printed with a biodegradable, medical-grade, FDA-approved polymer, and antibiotics were added by simply soaking the scaffolds in antibiotic solutions. “These scaffolds have both micro-pores and macro-pores in them,” he said. “The tiny micropores hold the antibiotic in the scaffold so it can be slowly released into the infection site. “The larger macro-pores are there to support the infiltration of the body’s tissue into the scaffold to keep it in place while the life-saving antibiotics are released directly into the surgical site. Dr. Tran said that although Staphylococci aureus and Staphylococcus epidermis were common on patients’ skin they could be deadly when they got inside a surgical wound. “What happens is that these bugs form bacterial biofilms on the surface of the implant that protect the newly embedded bacteria from the body’s own immune system, and systemic antibiotics have only very low efficiency against them,” he said. 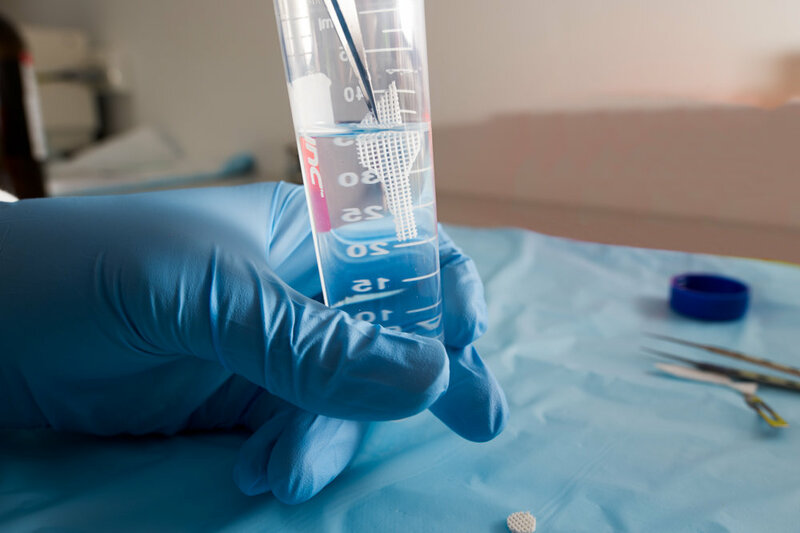 “The current method of preventing these infections is intravenous antibiotics before and after surgery or the insertion of antibiotic-containing beads during the operation. 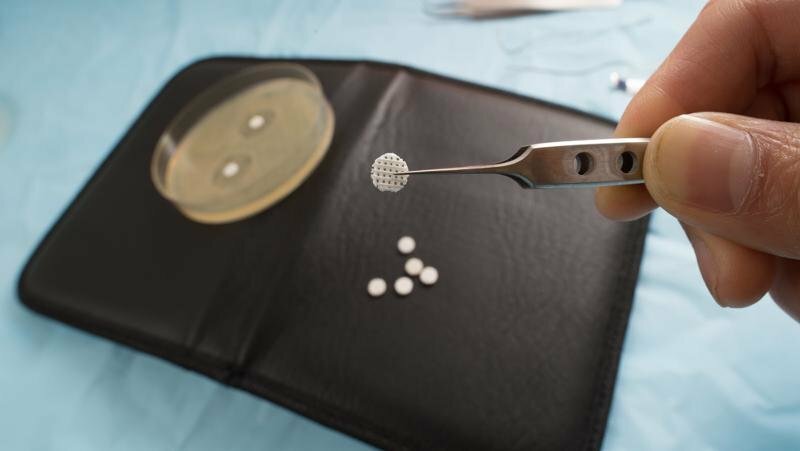 “Another traditional method is to mix antibiotic powder and polymers or ceramics before manufacturing the mixture into cement or implants to be inserted in the body. “The problem here is that many commonly used antibiotics have reduced activity when exposed to elevated heat or harsh solvents during this manufacturing process. Dr. Tran said the research showed a promising strategy for increasing patient surgical safety and is being tested in more complex physiological-like conditions such as 3-D engineered human tissue which other members of the QUT ARC Transformational Training Centre in Additive Biomanufacturing have developed. The research was published in Materials Science and Engineering C.